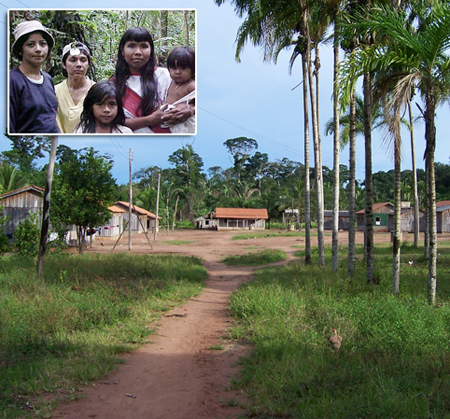 In a new study published in the journal Language and Cognition “When Time is Not Space,” a team of researchers from University of Portsmouth and Federal University of Rondonia claim that the Amondawa, a small Amazonian tribe, speak a language with a very uncommon conceptualization of time. The story was recently picked up by BBC, revealing that the debate about whether language influences thought is very much alive and newsworthy. Pierre Pica, a theoretical linguist at France’s National Centre for Scientific Research, question the conclusions derived from this new research. Pica explains that just because Amondawa does not use cardinal chronology, does not mean they view themselves advancing through time any differently than the rest of us who use a cardinal chronological system. Sinha et al. state that the tribe’s language in no way affects their cognitive ability to grasp temporal concepts -- they talk about events, and sequences of events, and learn Portuguese which does have abstract time expressions. Rather, the Amondawa language provides a different way of construing and talking about temporal concepts in daily life. Whorf’s ideas about Hopi have received a great deal of criticism over the years, and his data was critiqued as erroneous evidence resulting from deficient research practices. Nevertheless, the idea that language influences thought has certainly stuck around, and is now being raised by a new generation of researchers like Sinha et al who are gathering new data from small and threatened languages around the world. For more on the relationship of language and thought, listen to our podcasts of previous Long Now seminars by Lera Boroditsky as well as Daniel Everett who talks about Pirahã, a language also from the Amazon. Whorf, Benjamin Lee. 1950. An American Indian Model of the Universe. The International Journal of American Linguistics 16(2). In an interview by BBC, Guy Deutscher explains his ideas about language and thought in addition to describing Benjamin Whorf’s research on Hopi Language.